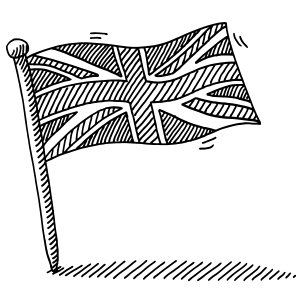 When prospective MBA students think of England, many will think immediately of London. And rightly so: it's one of the finance capitals of the world, as well as a hub of international commerce and industry. But with more than 13 million people living in the London metropolitan area, the city might feel a bit crowded and overwhelming to some potential students. "Some are beginning to realize that they don't need to be in the City of London," says Ashley Arnold, Henley Business School's director of MBA recruitment, who notes that "there are other big cities, and companies are moving all over the UK now." So if your fear is provincial isolation or that you will miss out on a global experience by not being in London, just have a look around at some of England's 11 triple-accredited schools outside of the capital. For a start, many MBA programs outside of London have truly international student cohorts. At Cambridge's Judge School of Business, for example, over 90 percent of most full-time MBA cohorts are non-British nationals. Susan Miller, the MBA director at Durham Business School, says that a diverse cohort can help create a skillset that's necessary in a global business environment. Students "need to be cross-culturally adept, so they can understand different cultures and doing business globally," she says. Some MBA programs in England build on this global aspect by offering students opportunities to gain hands-on experience through international projects. Through these, students have the chance to work directly with businesses and other organizations, depending on their interests. For example, Durham MBA students can undertake one of several international study projects, including one in Sri Lanka, where the students work with local people to to resolve local issues or problems. Through this project, which was introduced as an elective in 2009, students have examined traditional businesses in the country, like farming and tourism; as well as emerging ones, like sustainable textile manufacturing. Additionally, some MBA programs in England also offer hands-on projects closer to home, so that students have the opportunity to interact with local businesses. These projects can be significant, since they often tap into each region's unique industries and economies. Cambridge Judge MBA students, for example, undertake a consulting project at the end of their first term, called the "Cambridge Venture Project." Students often work with businesses that are representative of Cambridge's economy, which, because of the university's strong science and technology traditions, is a fertile ground for entrepreneurial activity. "Most of these projects would be with high-tech startups or not-for-profit organizations," says Conrad Chua, Cambridge Judge's director of MBA admissions. Indeed, each region of the country offers different types of businesses and industries. Chris Saunders, the director of the full-time MBA program at Lancaster University Management School, says that a good deal of the industry around Lancaster is made up of energy firms and infrastructure, due to the fact that there are two nuclear power plants in the area. Also, the defense contractor BAE Systems is nearby, and its presence has spawned a whole network of smaller suppliers in the area. Likewise, Henley Business School hosts its MBA cohorts on its campus in Reading, which has a large information technology industry presence—companies like Cisco, Symantec, and Nvidia all have offices there. "It's really like a mini Silicon Valley for us," says Ashley Arnold. Since many of these programs tend to draw a very international audience, many potential applicants may wonder if it's easy to stay in England (or the UK in general) after graduating. Conrad Chua says that due to tightening visa restrictions, the number of international students who stay after graduating from Cambridge has been declining. "Five years ago, probably 60-70 percent of the students would work in the UK after they graduate," says Chua. That number has now dropped to less than 50 percent. However, some of this decline might well be attributed to the country's sputtering economy over the last few years. Chua says that many graduating students are instead lured to places that promise robust growth. "A lot of people are going to Asia; some are working in Germany now," says Chua. "But there are still a good number of people who stay and work in the UK, including people who are non-EU nationals." In the current visa system, international students must essentially find a job before they graduate in order to be able to stay (before, they were simply granted a two-year work visa upon graduating). According to Lancaster's Chris Saunders, these changes have altered the expectations of international students. "What we're seeing now are the students who are more confident about getting themselves a job, rather than getting a visa and then getting a job," says Saunders. According to Durham's Susan Miller, some international students may go back to their home countries, but she says that this kind of move is representative of their generation's broader career and life goals. "The next career move may take them back home, it may take them elsewhere," she says. "They're often fairly mobile." But for those who do choose to stay in England, the capital city might appear too bright to ignore. According to Chris Saunders, Lancaster MBA graduates almost inevitable end up there at some point. "I would say that almost all of our students end up in London after the program," he says. "They won't all stay there, but they'll try to head there first."